Lilium (members of which are true lilies) is a genus of herbaceous flowering plants growing from bulbs, all with large prominent flowers. 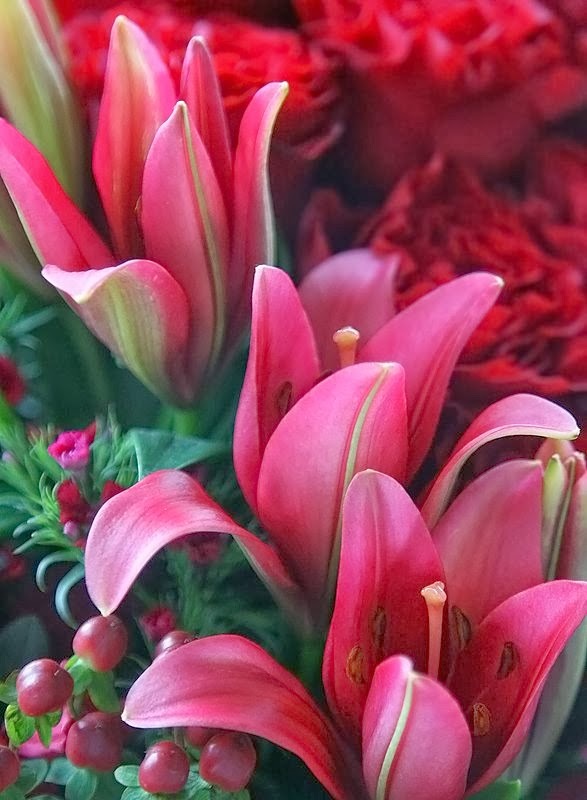 Lilies are a group of flowering plants which are important in culture and literature in much of the world. Most species are native to the temperate northern hemisphere, though their range extends into the northern subtropics. Many other plants have "lily" in their common name but are not related to true lilies. Many species are widely grown in the garden in temperate and sub-tropical regions. They may also be grown as potted plants. Numerous ornamental hybrids have been developed. They can be used in herbaceous borders, woodland and shrub plantings, and as patio plants. Some lilies, especially Lilium longiflorum, form important cut flower crops. These may be forced for particular markets; for instance, L. longiflorum for the Easter trade, when it may be called the Easter lily.